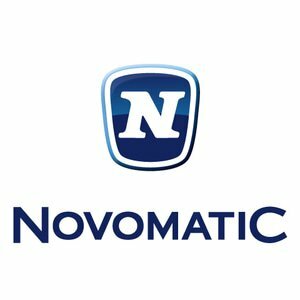 Unlike many of the companies that were founded to provide No Download Casinos for online gambling, the Austria-based Novomatic got its start by providing machines to land-based venues around the world. To date, it still manufactures and delivers machines to some 70 countries worldwide - including Canada - and enjoys revenue well into the billions. However, the company does have an online presence; it just isn't as large as some of the other, more popular developers. The most popular Novomatic Flash games out there include Book of Ra, Lucky Lady's Charm and Sizzling Hot. Book of Ra is quite possibly one of the most popular titles in the world with its beautiful Indiana Jones-based theme complete with crystal-clear graphics and an exciting soundtrack. 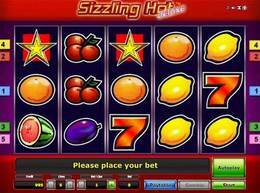 Sizzling Hot is another great adventure that is reminiscent of classic three-reel slots that used to be found in pubs and gambling venues in the late 1800s/early 1900s. While no download slots are by far the company's best development (and there are more than 40 from which to choose at various venues worldwide), they also work hard to provide access to all of the most popular table games. These include baccarat, blackjack, poker, roulette, craps, keno, bingo and a host of others, though there are more slots offerings than anything else. In fact, the developer has recently delved into the mobile sector and continues to offer exciting games for handheld devices. One of the most noticeable things about Novomatic Flash games is that all of the different casinos hosting them have the same look and feel. Bright, bold colors dominate the screen, and while most people find this to be incredibly attractive and even innovative in nature, it can be a bit startling for people who are used to seeing more elegance and toned-down color schemes in their venues of choice. The company doesn't have a progressive network, per se, but there are some titles that are associated with small progressive jackpots as they are played. For instance, King's Treasure has a progressive jackpot that can pay out as much as $100,000, but it isn't based on a network. Rather, the jackpot continues to climb as the players at the real or virtual machines continue to deposit coins, and it continues to climb until it is hit by one lucky individual. While the winnings aren't as large as others, it still provides a level of excitement that completely non-progressive titles cannot. Traditional casino offerings aren't all that Novomatic Flash games can offer, either. The company is well known for its multiplayer poker rooms, and they also offer both 75- and 90-ball bingo to those who are fans of this multiplayer classic. They're working hard to be one of the most innovative mobile platforms out there, and they currently offer a dozen titles - including Book of Ra - for iphone casinos, Android and various other devices. Finally, there are plenty of eSports titles (though they must be downloaded) and even fun skill games like backgammon, rummy and others.